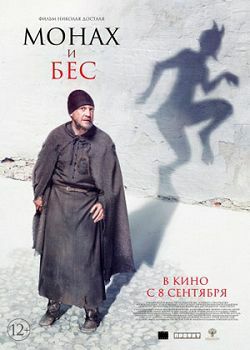 The film "The Monk and the Demon," which after the film "Ostrov" is considered the best of its kind, is based on an incident from the life of St. John of Novgorod who, during his life, when the devil tempted him in his cell at the time of prayer, with the power of the Cross he bound the demon and ordered it to take him to Jerusalem so that he could venerate the tomb of Christ. So beginning from this event in the life of St. John of Novgorod, the director of the film "The Monk and the Demon" manages to show us the struggle for our souls is the same. Moreover, the director makes the past a reality that we live today. A reality without repentance, full of temptations, where we often have the impression that we cannot deal with trials. Following this film you will see the struggles of every monk in a monastery, as well as every Christian in the world, in order to gain our salvation. As the director Nicolae Dostal and screenwriter Iurii Arabov stress, the film "The Monk and the Demon" speaks about love. It is not only about the victory of good over evil, but also about how we can love one another, and most importantly to love our enemies. This film took the first prize at the international festival of Orthodox films known as Pokrov, which took place in Kiev on October 12, 2016.